Our family friendly bistro offers an informal dining experience which has become a favourite for locals and visitors alike. Many diners choose to take advantage of the quality steaks cooked on the char-grill. We also offer an extensive range of dishes for those who want something a little different at affordable prices. Our kids meal options are sure to please the little ones and children can play in the safety of our kids entertainment area or enjoy the Playstation area. All day dining from Thursday to Sundays also offers a great option for late lunches starting from $10. The newly renovated V.I.P. gaming lounge features 45 gaming machines with Lightning Links, Jackpot Carnival, Fast Lane, Jokers Jackpot and Joker Treasure Links as well as KENO terminals, including our brand NEW self service terminal. With outstanding customer service accompanied with a warm smile by our friendly staff, we strive to make your gaming experience the best on the Gold Coast. For your convenience we supply complimentary tea, coffee or soft drink. Those requiring a beverage a little heartier than tea or coffee are able to order from our easily accessible Gaming Bar which boasts an extensive range of back bar spirits. 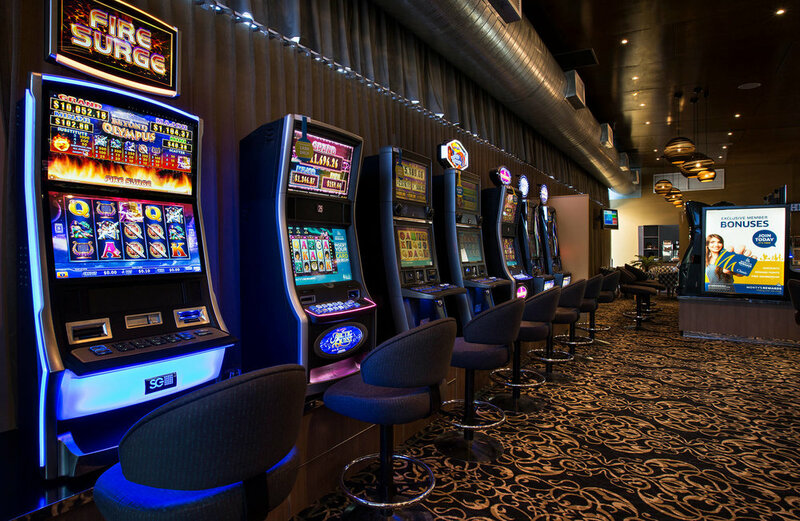 Pacific Pines Tavern is committed to providing the highest standards of customer care, service and responsible gambling. If you're looking for a place to relax with friends, catch up on the latest sporting action, enjoy great live bands or enjoy a laugh with stand up comedy, our Sports bar is the place for you. Meet up with friends after a long day at work or just unwind over the weekend here at The Finishline Bar at Pacific Pines Tavern.